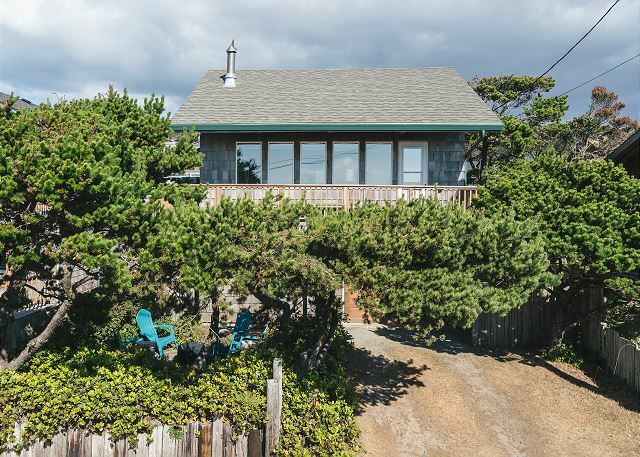 Inspiring Ocean Views, Immaculate & Chic, Steps to beach, 5 blocks to town! 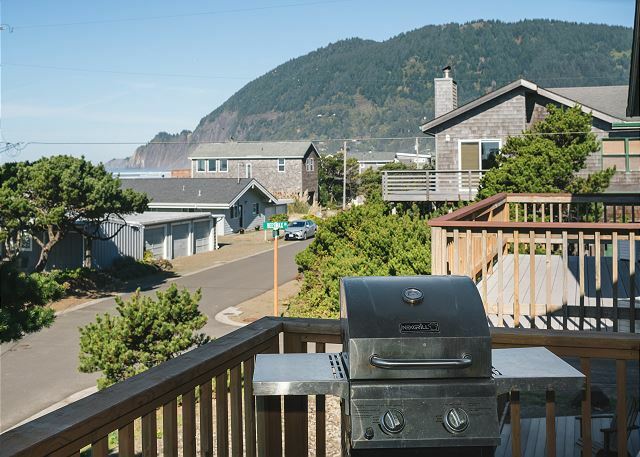 The City of Manzanita has issued MCA #362 to Beeswax and Beach indicating it has been properly inspected and is a legal rental. 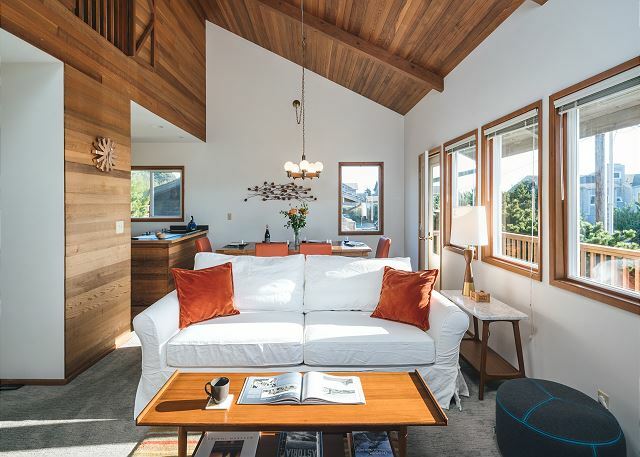 Chic but not stuffy, well-stocked but not cluttered, Beeswax & Beach is the picture of balance. 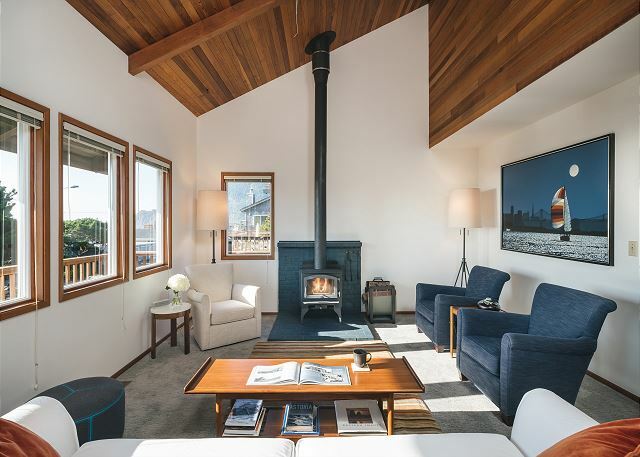 Warm wood accents and high-end furnishings in natural hues create a serene space—capped off with views of the ocean and Neahkahnie Mountain all around you. Mother Nature puts on a non-stop show from the moment you arrive at Beeswax & Beach. 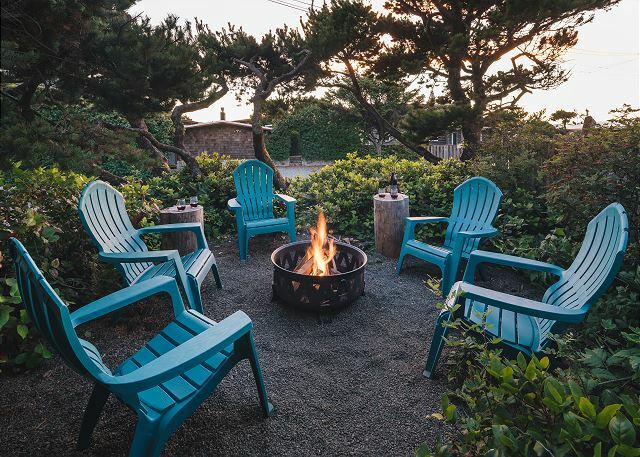 Watch storms roll over the Pacific from the living room, admire postcard sunsets from the deck, or look up at twinkling stars from the front yard fire pit. And, of course, walk right across the street to the ocean to put your toes in the sand. 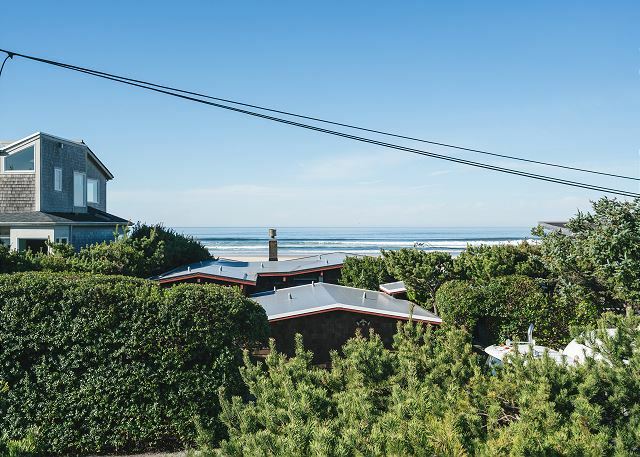 Adventurers, artists, and ocean-lovers will all find something that speaks to them in charming downtown Manzanita, a coastal town with a whole lot of heart—just five blocks away from this beach house. 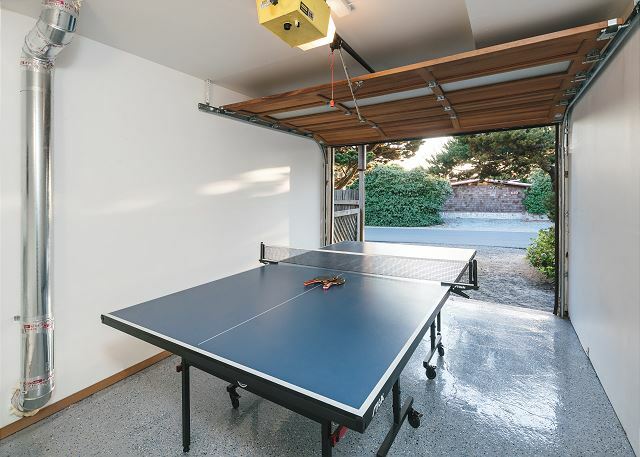 This home is the owners' beloved beach retreat, so care has gone into every inch of the space, from the yard to the beautifully updated kitchen. 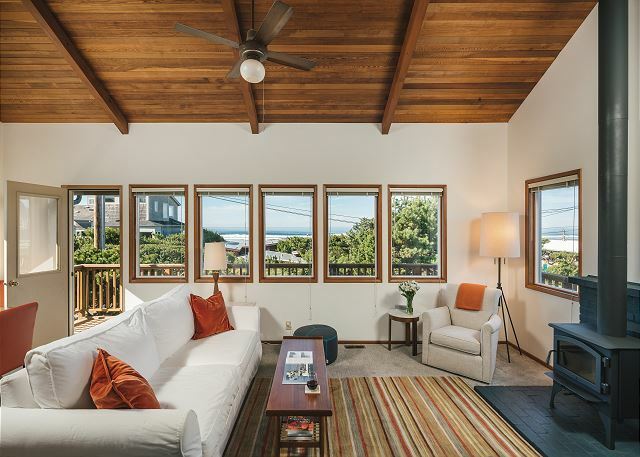 Carefully selected furnishings paired with earth and ocean hues create total zen, and inspired design maximizes the captivating ocean and mountain views. 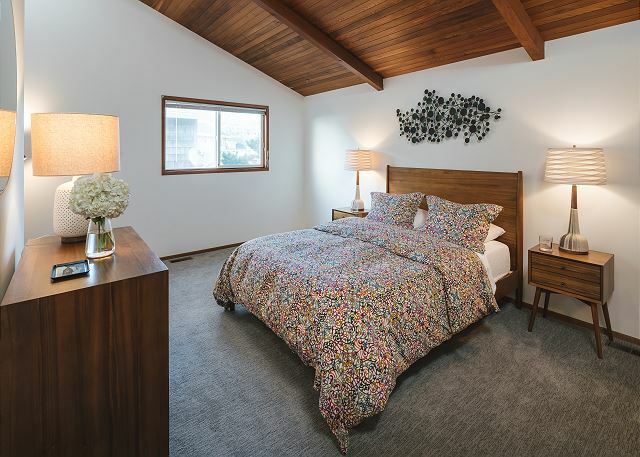 Three cozy bedrooms set the scene for sweet dreams, featuring cheerful linens and award-winning Casper memory foam mattresses. 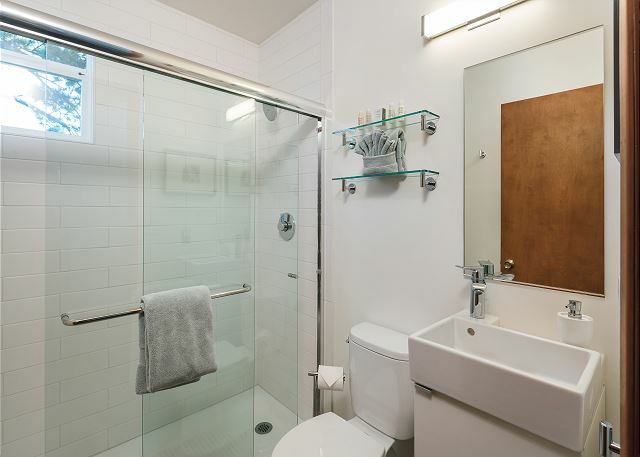 With two-and-a-half baths, everyone can get ready for the day at their own pace. 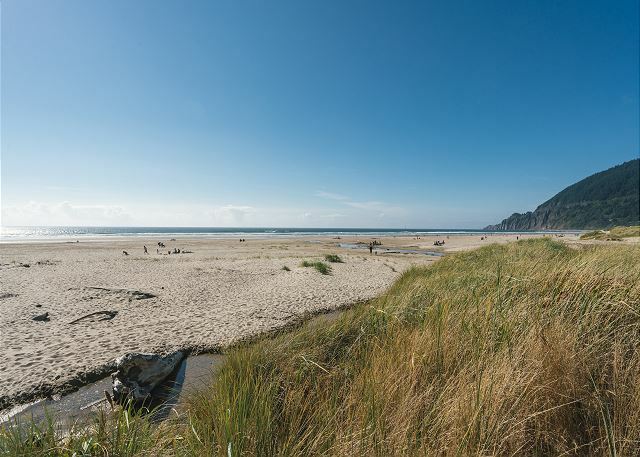 Discover Manzanita, a quaint town with a devoted following of beachgoers and outdoor enthusiasts who like life just a little offbeat. 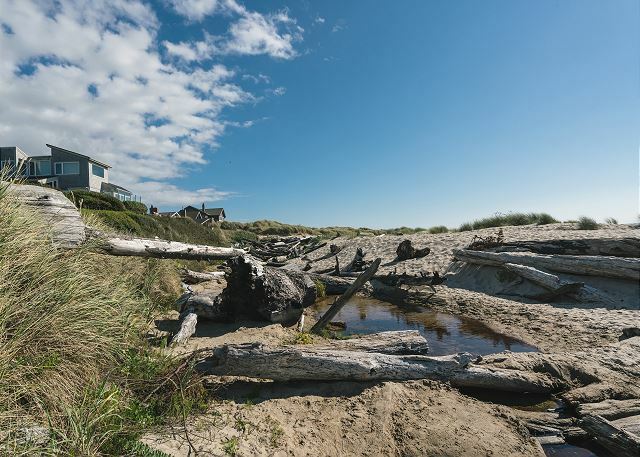 With seven miles of picturesque beach with rolling dunes, there’s plenty of options for where to spread a blanket and admire the mighty Pacific. 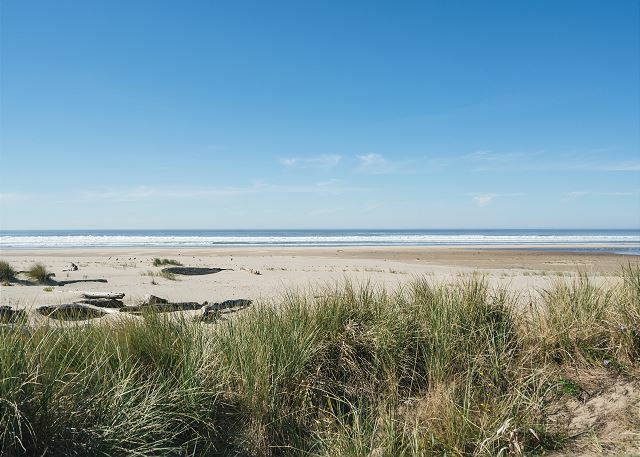 See the whole stretch of shore with a horseback ride along the ocean, or venture out for an afternoon of crabbing in Nehalem Bay. 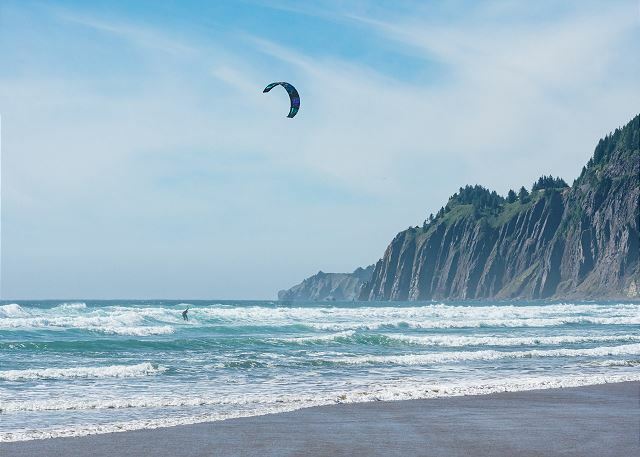 Adventurous spirits can paddle the Bay on a stand up paddle board or kayak, or try out kiteboarding, a favorite local past time. 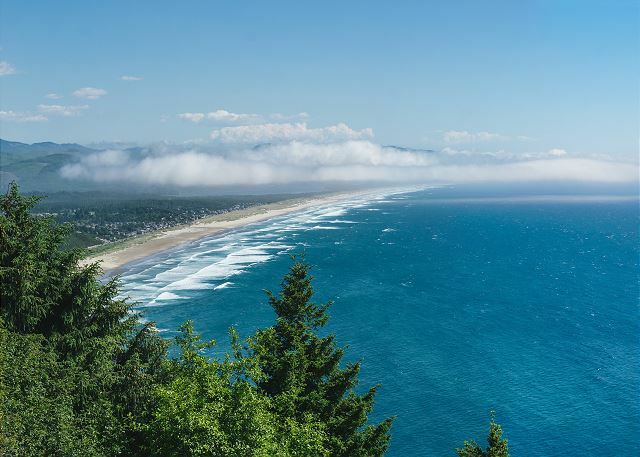 For those who’d rather stay on land, wander the trails up to the top of Neahkahnie Mountain, or tee-off at the Manzanita Golf Course. 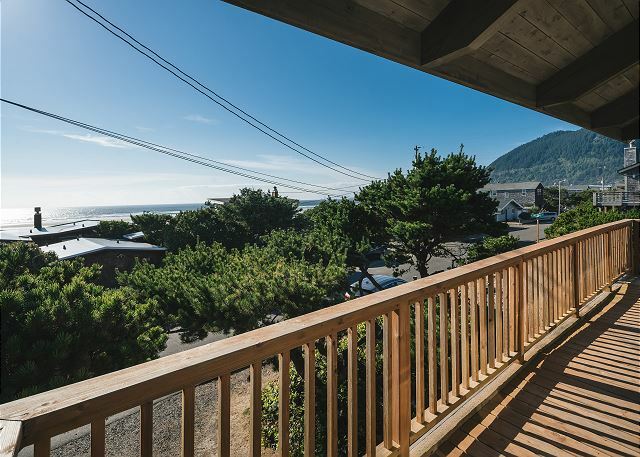 But where this quaint town’s spirit really shines through is on Laneda Avenue, the main street running through the heart of Manzanita. 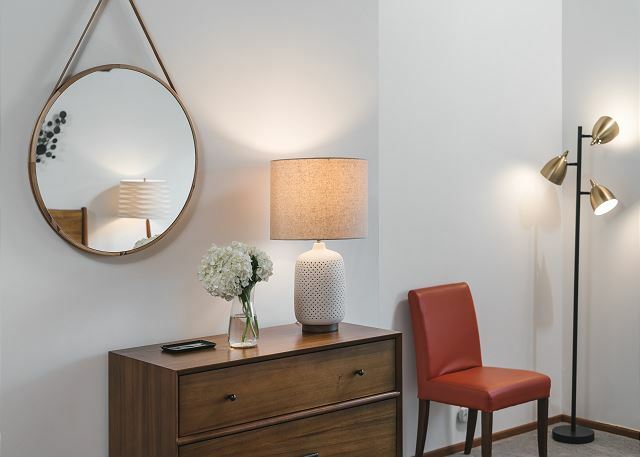 Start your morning on a low-key note at the day spa or yoga studio, then wander the street to explore the art galleries and boutiques. 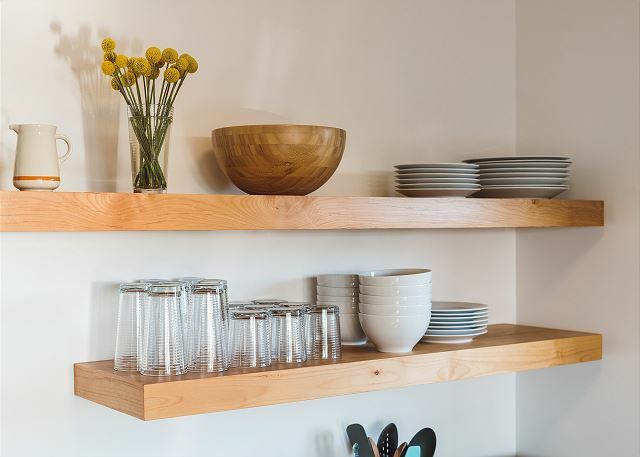 Stop in for a bite at charming cafes (we’re partial to Bread and Ocean), trendy restaurants (Yolk is a must-try), or beloved bars and wineries (The Winery, MacGregor’s Whiskey Bar, and Sand Dune Pub are favorites). Incredible location. 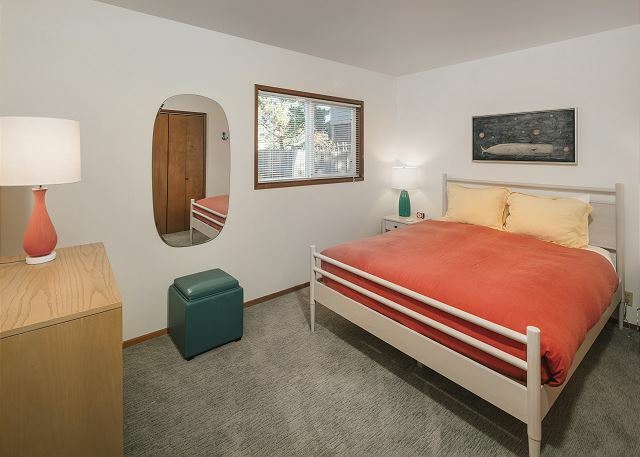 Fabulous beds. We appreciated the attention to details. I would definitely stay here again. 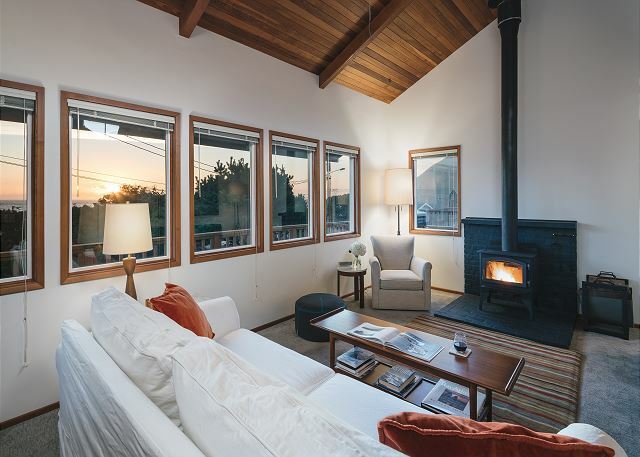 We had a fabulous time at the Beeswax and Beach house in Manzanita. 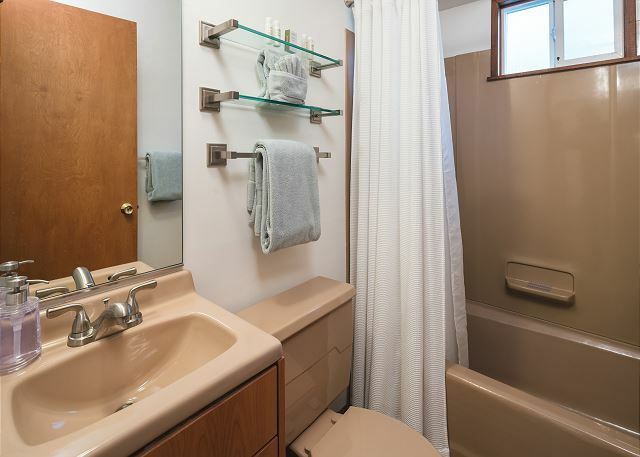 The place was clean and well situated, just a stones throw from the beach. The owners were very responsive to questions and were keen to ensure we had a great time. Would for sure go back. 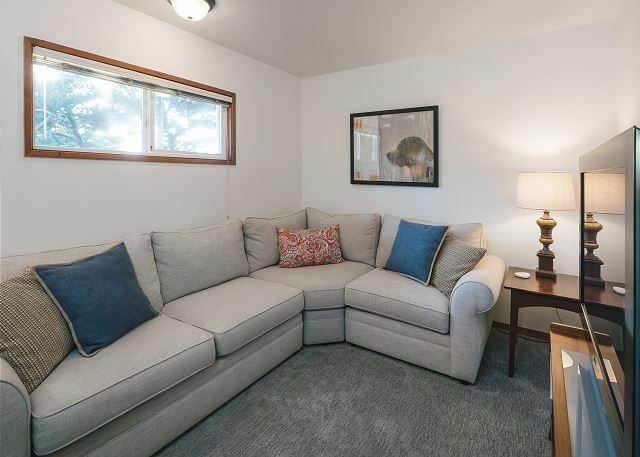 The house is beautiful, lots of light from big windows. 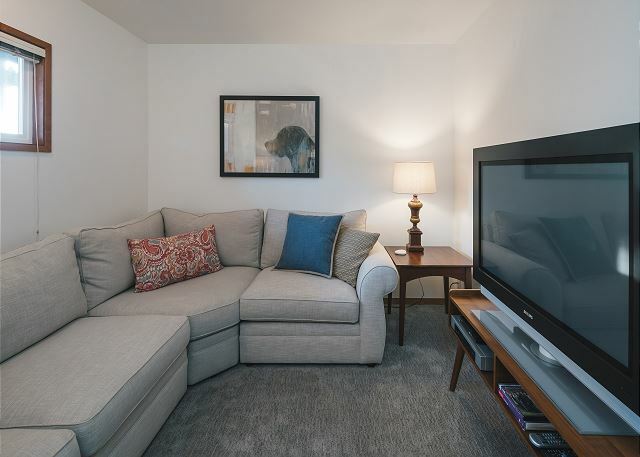 It is artfully decorated but still felt comfortable and homey and relaxing. 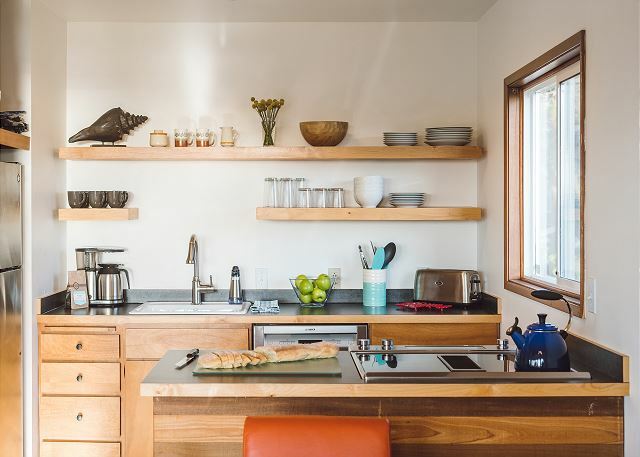 Really clean, well stocked kitchen. Lovely linens and thoughtful touches. 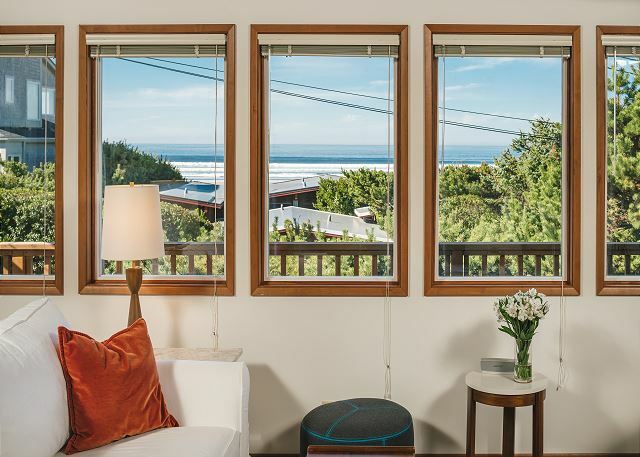 Gorgeous views of the ocean and mountains and really close to all the great shops and restaurants in Manzanita. 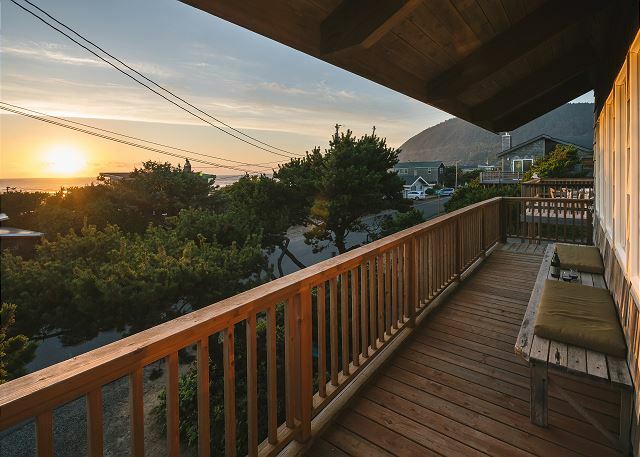 Staying at this home made me want to move to Manzanita.